Sharing story of a young person from Allahabad (a city in Northern India) – Ayush who went thru series of hypnotherapy ,age regression & PLR sessions recently. Ayush was suffering from anxiety, fear & anger issues for the past 10 years after loosing his younger sister at age of 14. His younger sister died after a prolonged illness. After her death, he developed a guilt that he could not do much to save her. After then, fearful recurrent dreams started in night. In these dreams, he saw him flying in dark black clouds with thunderstorms. He also developed Acrophobia (fear of heights). He also had anger issues. After listening his story in first session which is mandatory session, I planned a series of healing sessions for him. In Age Regression session, he clearly narrated all incidents which affected him. He also shared death of his sister and his emotions at that moment. 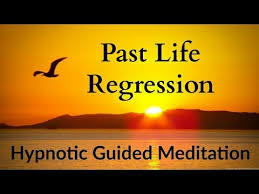 In his Past Life Regression session (PLR), he first saw himself as “William”, 12 years old boy looking for his parents and his sister in a railway platform. He was lost and separated from his family in crowd. When I asked him to go backwards, he found himself in his home at the age of 11 years, playing with his younger sister. He immediately recognised her as his sister in present life who died earlier. He also saw that his parents were fighting with each other bitterly and he was feeling very fearful. I directed him to go forward in his lifetime and he felt himself in a church. He was getting married at that time with a girl ‘ Martha’ who was 21 years old. William was 22 years old at that time. He was feeling very upset at that time as was alone and no members of his family was present. He informed that he could not meet his family after loosing them in railway station. He informed that he was in a city in England in 18th century. At the end, he saw himself dying from Lung TB at age of 40 years in a hospital. His wife and 12 years old son ‘John’ was him at time of his death. At the time of death, he was very sad as he could not do much for his family. After this, he immediately drifted into another past life memory and saw himself in India in 16th century. He was travelling in a caravan along with other traders. He was a 38 years old rich trader and was going to a city to sell his products. He informed that he had wife and 2 children. In one of night halt, he was very drunk and started fighting with his friend who asked money from him. In fighting, he killed his friend with knife. He informed that his other fellows did not say any thing to him as he was richest. He also gave money to everyone for not saying anything about incident to anyone. After his incident, he stopped drinking. However, he was killed by his own friends in another business trip. He narrated his death scene in vivid detail and informed that how his soul left his body. After some time of his death, he felt presence of divine master who came to take his soul. At this point of time, I asked him to do revision of his both lives. He felt very sad about both the lives. I asked him to take guidance from divine master who came to take him. He asked him about lesson of both past lives and its relevance with incidents which he faced in this life time. After a long pause, Divine master informed that soul of his younger sister in present life is completing her karma cycle and this is reason of her early separateness in both the lives. 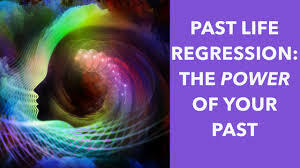 Divine Maser clearly guided him that he will need to correct all his previous mistakes committed in past lives and this is reason for his suffering in present life. He will need to come again and again until his journey is not completed and his soul has not learnt all lessons. The message was very loud and clear. Therefore, I asked Ayush to take further guidance from divine master. Again, he was guided to take Divine Spiritual Path in this life time and help as many people as possible. 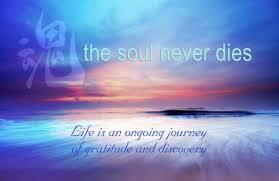 After receiving all guidance and messages, his soul went away with his divine master. I soon helped Ayush to come out of this session. The session made profound effect on him and he felt very peaceful. When I met Ayush again after one month of completing all sessions, he was very happy and informed that he life is changed after sessions. Ayush informed that "all anxieties, fear and feeling of loosing are vanished now and now I can clearly see connection of karmik patterns which have given deep insight and peace to me." Healing thru Direct / Skype sessins are available.